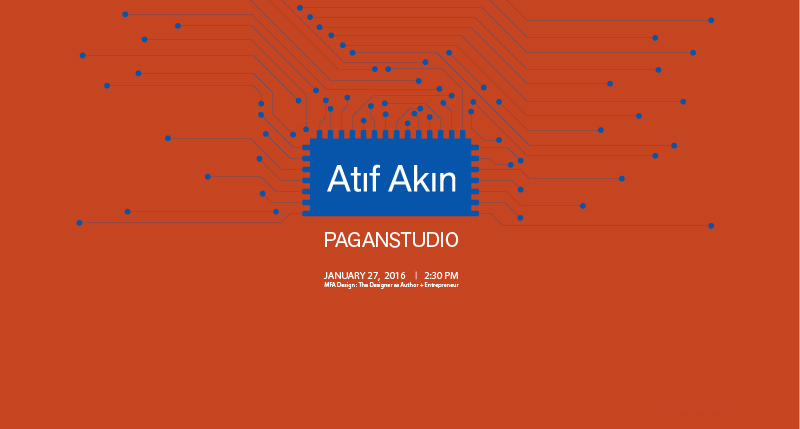 Today’s MFAD guest speaker Atıf Akın‘s office Paganstudio is in New York. He worked and took part in international projects in the field of contemporary art, science and politics. He is an artist, designer and curator. 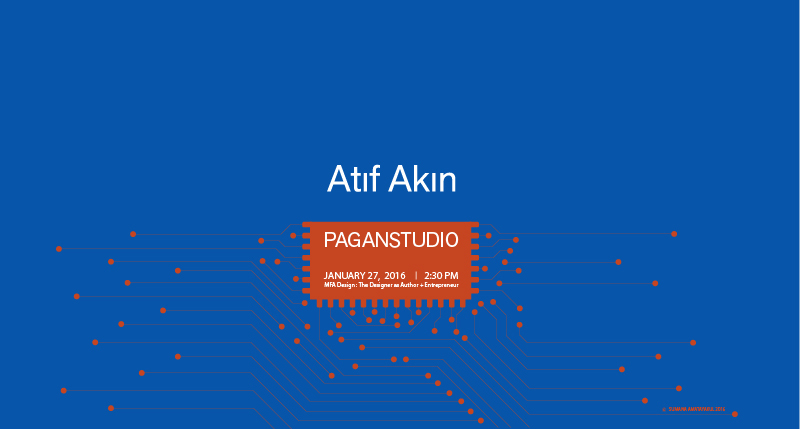 Recently he worked at Bilgi University and Kadir Has University in Istanbul where he has taught various courses related to new media and interaction in the context of art and design. He is the founder and the organizer of PixelIST festival, dedicated to electronic arts and its subcultures, together with PixelACHE network. He has produced videos, multimedia installations and photography projects along with publishing articles in various catalogs and periodicals. His work is listed in the ʻYounger Than Jesusʼ art directory project of New Museum, published by Phaidon. He curated Uncharted: User Frames in Media Arts exhibition and the edited the catalog. 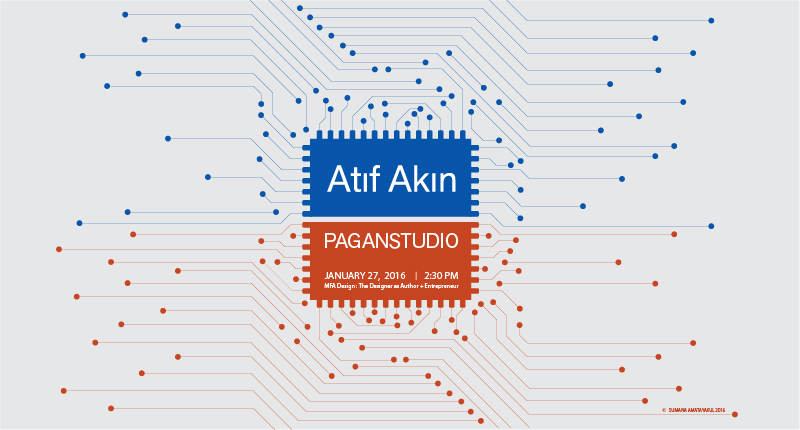 He worked as the manager of the Istanbul design office of frumatic and still consultant to the same new media agency. He is teaching at Mason Gross School of the Arts Visual Arts Department of Rutgers University in New Jersey. Last Spring he realized an installation project titled Empire Front and a website by the same name.